Hi, I'm MarioComix. My Nintendo Network ID is also MarioComix. 2 Super Mario Maker Stages!! My first one, created from my intense love for the character, it's Gallery:Rosalina! The second one, created from my want for all main characters of the series to have their own gallery, plus for being playable in Mario Party 9, it's Gallery:Kamek! "Wow! Look at these stages! If you enjoy them, please help me out so I can upload more stages!" Cave Spelunking: ED94-0000-0028-783F - Explore a cave with hidden secrets! Mushroom Kingdom ~Stage 1~: 8FA6-0000-00E5-3B97 - A remake of Stage 1 of Super Smash Bros. Melee's Adventure Mode! Bowser's amiibo Fort: FEB3-0000-002B-4B74 - Bowser's fort to guard his amiibo stash! Take a Shellmet with you! Lakitu's Bombs Away! : DF07-0000-002C-198D - A classic airship stage, featuring Lakitu bombers! The Zoo: 2755-0000-0032-E68C - Take a walk through this zoo, featuring many of the Mushroom Kingdom's flora and fauna. Heli Battle: D2A4-0000-0100-C97C - It's a battle in the skies! Everyone, get to your Clown Cars! BirabutoKingdom (SuperMarioLand): EB40-0000-00E5-3C74 - A remake of the first level, the Birabuto Kingdom, of Super Mario Land! Submerged Subcon: SC1D-0000-0035-1872 - The iconic locale of Super Mario Bros. 2, Subcon, but with a twist: it's all underwater! Green Greens (Yoshi's DreamLand): 0ABB-0000-0040-9E1A - Green Greens from Kirby's Dream Land, but now as a Super Mario World level! It's Yoshi's all-you-can-eat buffet! In High Spirits: C4A8-0000-009A-2D5D - A difficult level in the sky featuring lots of Boos and spooky happenings...! Past & Present: Bowser's Castle: D7AF-0000-009D-31D6 - Retrieve the Power Star from Bowser's Castle, by travelling through both the past and the present! There are three distinct routes to completing this level. Water Temple (Ocarina of Time): FC1D-0000-00B0-62C9 - A Mario level adaptation of the Water Temple from The Legend of Zelda: Ocarina of Time! Power-ups appear as keys to unlock new areas of the temple. Tip: refer to Navi's advice in the Miiverse comments for help in getting through the level, as time is extremely limited here! Calamari Kitchen: 1AAA-0000-00E5-4A00 - You're a squid! And now, escape from the kitchen or you'll get cooked up! House of Mirrors: [seemingly removed] - An incredibly challenging level that combines platforming with strategy and puzzles. There are three main paths to complete this level. Sine Wave: [seemingly removed] - A stage built on a sine wave, full of enemies and Mystery Mushrooms. There is a pattern to their locations! Wintertime (Merry X-mas! ): 6F09-0000-0100-C373 - A simplistic stage featuring ice, snow, stockings, a Christmas tree, and Santa Clauses. Storming Bowser's Brigade: 55D5-0000-0139-2FA9 - A shooter-style level featuring the new Fire Koopa Clown Car. Take down Bowser's Airship Fleet! Sky Battle / Sea Battle: 950D-0000-01CB-BD1E - Two levels in one! The main route is an underwater shooter level, while the hidden route is a heavyfire barrage in the clouds! House of Elements: 8E97-0000-0244-BE89 - Can you clear the four elemental trials of fire, water, air, and earth, and escape from this house of challenges? Petey Piranha and King Boo in the Piranha Pipes. How dare they leave out King Boo!! I find it funny how Candy Kong is so tall. One of my favourite games, Mario Party 7. My favourite game ever, Mario Kart: Double Dash!! A very nicely done artwork of Mario Kart Wii. A very nicely done artwork of Mario Party 8. Full artwork of Mario Party 9. Could use more Rosalina and Toadette. And Kongs. A wallpaper for Mario Party 9. Could use more Rosalina and Toadette. And Kongs. And Bowser. Even fuller artwork of Mario Party 9. Could use more Rosalina and Toadette. And Kongs. And King Boo, while you're at it, since Wiggler's in there. Beautifully done. I love how Gooper Blooper has a plurpish tint. This is so beautiful, filled with hidden content and all sorts of goodness. I love how Rosalina looks as she drives! I love her look here. Her flowing gown is so beautiful! How in the world--?! He's fat, wears yellow and purple in the reversed manner that was prominent at the time, and even has short sleeves. Rosalina! With Baby Luma and his hat! And Hungry Lumas! And Polari!!! This scene is so stunningly beautiful. They're falling Lumas! Not Star Bits! I love their expressions. And look! King Boo's cameoing! It's a pretty basic picture. But I really dig it. Even though it's missing characters like Boo, Birdo, and Toadette, it at least addresses who the main characters in the series are (cough Mario Kart 8 cough). My favourite round ghost, dancing! Featuring prime members of the Koopa Troop! My favourite round ghost nestled in his Circuit Special, racing in glorious HD! My favourite round ghost in his purple Mercedes with a good ol' Yoshi pal. 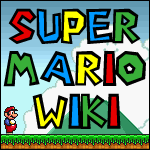 This user has 242 Power Stars in Super Mario Galaxy. This page was last edited on November 24, 2018, at 01:51.